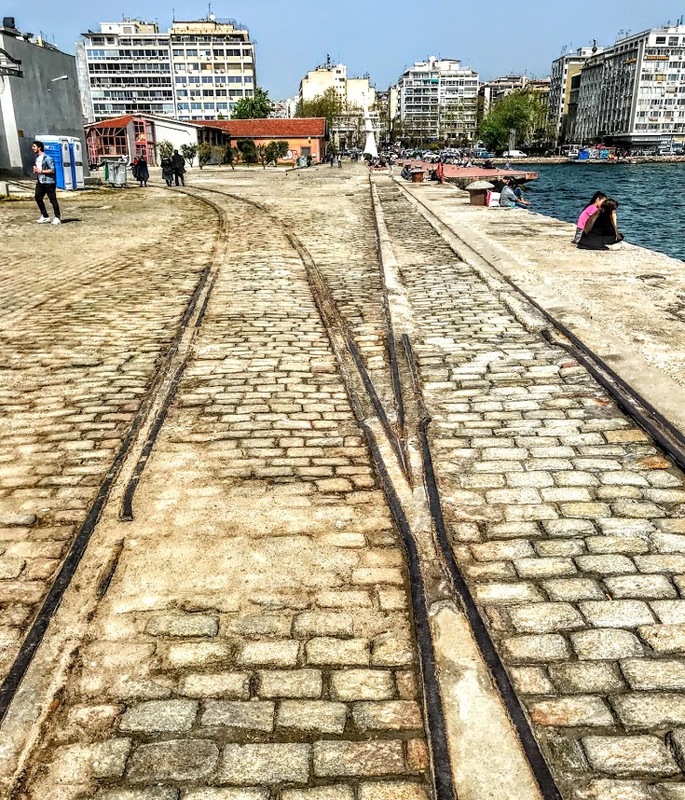 I spent some time after Easter in Thessaloniki, enjoying the Greek celebrations of Easter, which came a week later this year, visiting monasteries, churches and archaeological sites, meeting friends, and retracting the steps of my grandfather, who was stationed in Thessaloniki during World War I. This is the city of Aristotle and of Alexander the Great. With its walls, towers, churches and historical and archaeological sites, Thessaloniki remains a Byzantine city. But it was once the largest Jewish city in the world. This is the second city of Greece, and in Byzantine times it was second only to Constantinople as a f political and cultural city. Until World War II, Thessaloniki had a major Jewish community, and for centuries it was the only major European city with a Jewish majority. I was staying in the old Jewish quarter, close to the Jewish Museum and the city’s only surviving synagogues. In the Jewish Museum, I was reminded that the Jewish community of Thessaloniki is unique because of its continued presence throughout the city’s 2,300-year history, a rare fact in Jewish history, even for Jerusalem or Alexandria. Alexander the Great granted equality under the law to Jews in 331 BC. This new freedom attracted many Jews to settle in Hellenistic cities and to become Hellenised. Jews settled in the newly-established Thessaloniki in 315 BC and there were new Jewish arrivals from Alexandria in 145 BC. There were Jews in Thessaloniki when Saint Paul preached in the synagogues on three successive Saturdays in 50 AD, and when he wrote his first Letter to the Thessalonians. Some of these Jews probably formed a minority within the church he was writing to. 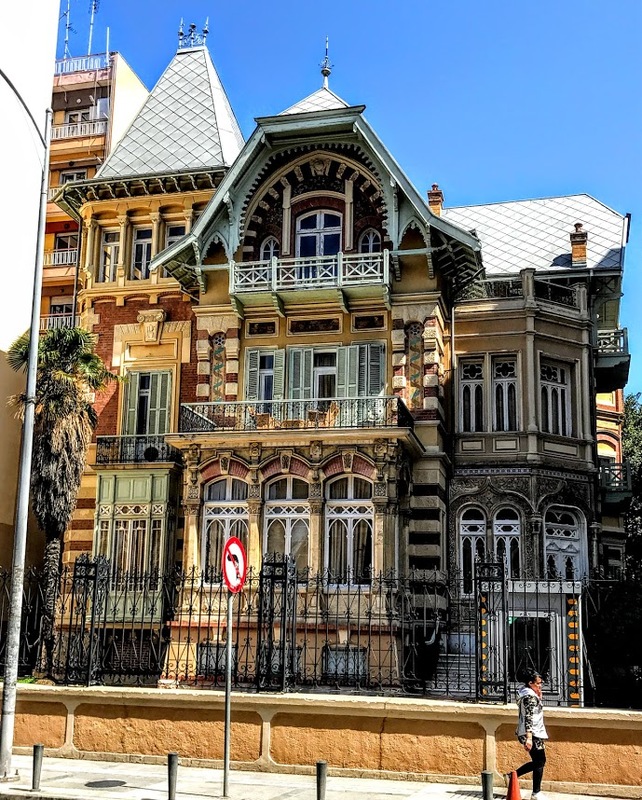 A small Jewish population was living in the city during the Byzantine period, and Rabbi Benjmain of Tuleda reported 500 Jewish families living in Thessaloniki at the end of the 12th century, engaged mainly in silk production. When the Ottoman Turks finally captured Thessaloniki in 1430, the Jewish population was still small. 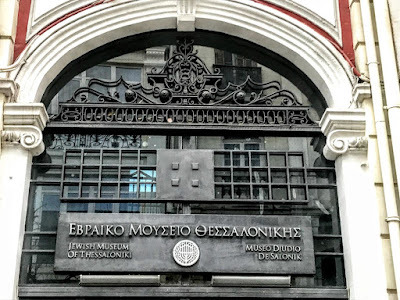 Although four synagogues had been founded in the 14th and 15th centuries (1376, 1391, 1394 and 1423), few Jews were left in Thessaloniki at the time of the fall of Constantinople in 1453. Sephardic Jews began to migrate to the city in large numbers when they were expelled from Spain in 1492. The first Sephardic Jews to arrive were said to have come from Majorca and were ‘repentant’ Jews returning to Judaism after forced conversions to Christianity. 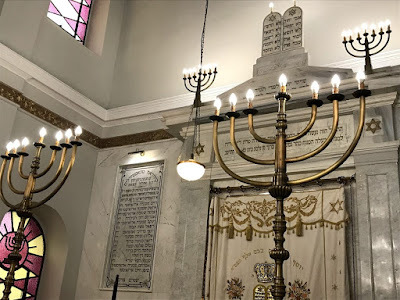 Later arrivals came from other parts of Spain, Portugal and Italy, and each new group set up its own synagogue, with names such as Castilla, Aragon, Old Catalonia, Old Italy, Sicily, Apulia, Lisbon, Portugal and Otranto. The 20,000 Sephardim or Spanish and Portuguese Jews who settled in Thessaloniki brought an economic revival to the city. They were engaged in international trade, finance, medicine and pharmacology and introduced new crafts such as manufacturing arms and gunpowder, as well as textiles. By the turn of the 16th century, when other Greek cities were in decline, Thessaloniki had 29,000 inhabitants. More than half of them were Sephardic Jews, and there were 31 independent synagogues. The new arrivals gave Thessaloniki an international character and made it the second most important port in the Ottoman Empire. 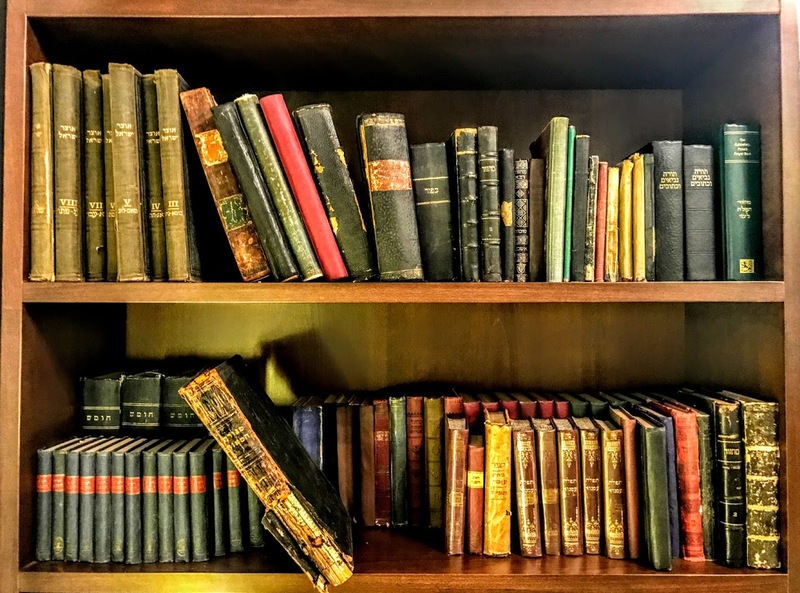 The 16th century was the ‘Golden Age of Salonica,’ when the Sephardic communities established libraries, an important Talmudic academy, a printing press and a conservatory for Jewish religious music and singing. Almost all the Jews of Thessaloniki spoke Ladino or Judaeo-Spanish. 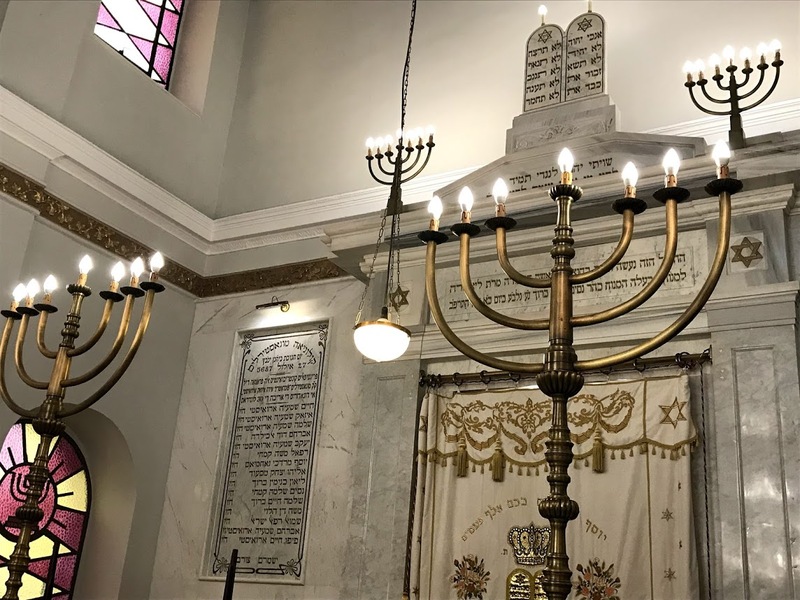 For more than four centuries, 50 per cent of the city’s population was Jewish, so Ladino was the main language, spoken too by many Christians or Muslims. The Sephardic Jews of Thessaloniki were so highly educated and widely respected that by the 16th century they were supplying rabbis for synagogues from Venice to Amsterdam. They were soon joined in Thessaloniki by Ashkenazic Jews from the Austrian empire. 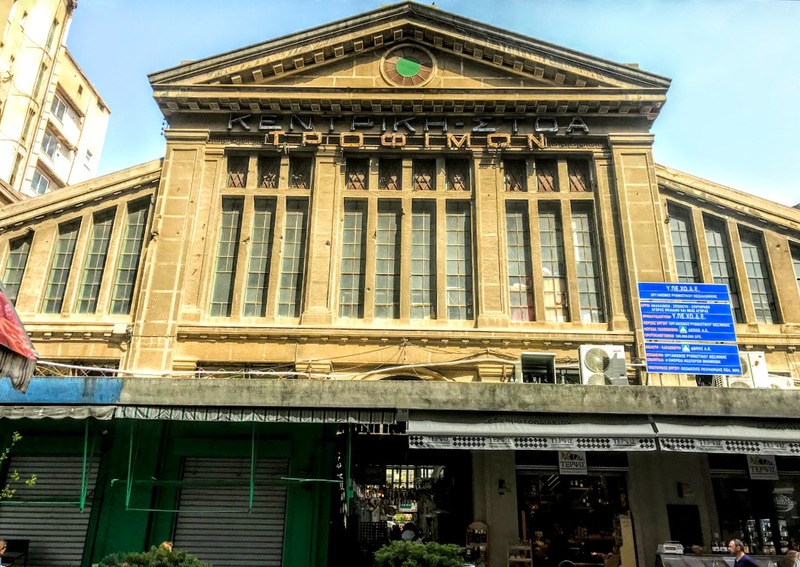 Later in the 17th century, Ottoman territorial losses in Europe and the discovery of new commercial routes brought about an economic decline, and Thessaloniki’s Jewish community lost its former glory. 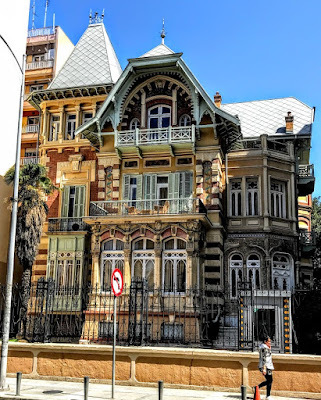 But the city continued to attract new settlers and Jews, Christian Greeks and Muslim Turks lived side-by-side, usually in harmony and often without discrimination, with a variety of languages and three days of religious observance each week. The Jewish community was divided by schism in the 17th century with the arrival of a charismatic and mystical preacher from Smyrna. Shabbetai Zevi (1626-1676), a kabbalistic rabbi, claimed he was the long-expected messiah, and gathered thousands of disciples. 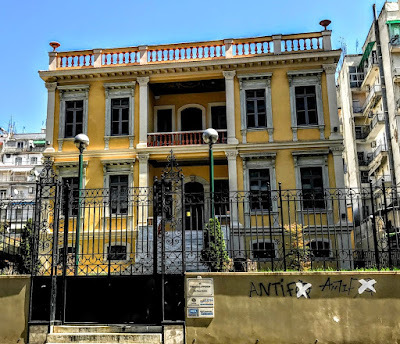 But the new group was disowned by the rabbis of Thessaloniki and the Ottoman authorities saw them as a threat to social stability in the city. He was imprisoned in 1666 and accused of sedition, but his followers continued to grow in numbers. He was brought before the Sultan and was offered three choices: to test his claims before a firing squad of archers, to be impaled, or to convert to Islam. To the horror of his followers, he converted to Islam in 1666. Most of them abandoned him, but about 300 families followed him in becoming a Muslim. After his conversion, Zevi continued to preach many of his old beliefs, and a new Kabbalist cult, slightly influenced by Sufism, was born. Despite their conversion to Islam, the Dönmeh secretly remained close to Judaism and continued to practice Jewish rituals covertly. They prayed in Hebrew and Ladino, maintained links with other Sabbateans who had not converted to Islam, and Jewish rabbis often secretly settled community disputes. They built their own mosque and although outwardly they were Muslims, secretly they were Jewish Sabbateans. 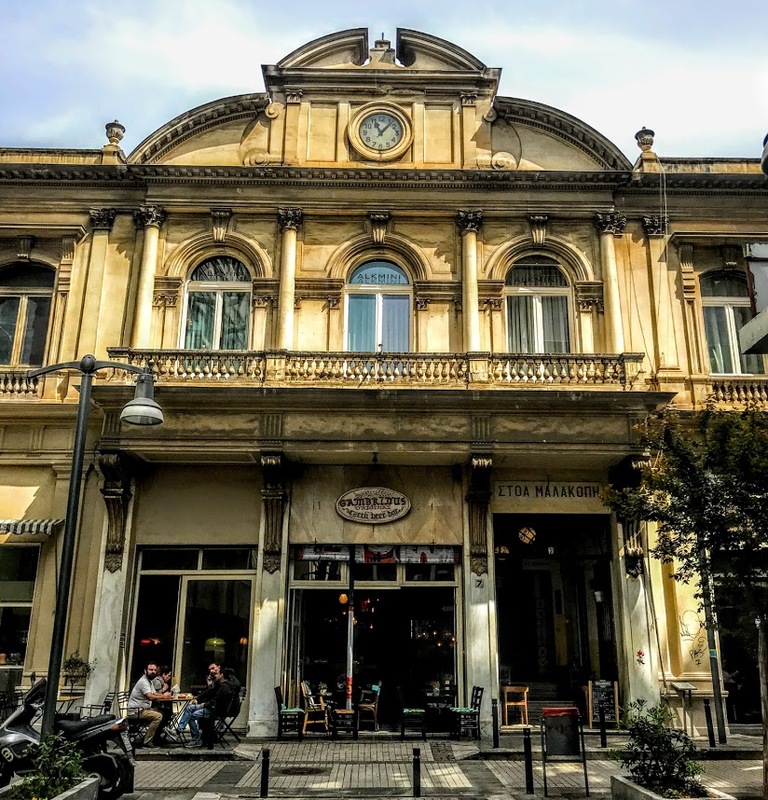 In the mid-19th century, Jewish educators and entrepreneurs migrated in large numbers from Western Europe to Thessaloniki to develop schools and industries, bringing new European ideas that changed the culture of the city. From 1878, Thessaloniki was connected to Europe by rail, the port was renovated and the city was modernised. New banks stimulated commerce and contributed to economic growth. 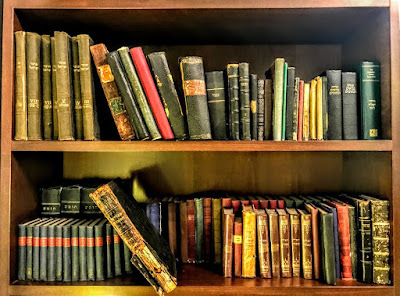 Between 1865 and 1940, more than 50 Jewish newspapers were published in the city, most of them in Ladino, but several also in Turkish, French and Greek. Between 1878 and 1914, flour mills, hotels, cafés, brick factories, breweries, soap-works and silkworm nurseries, carpet and shoe factories and several large tobacco workshops were established, mainly by Jews. 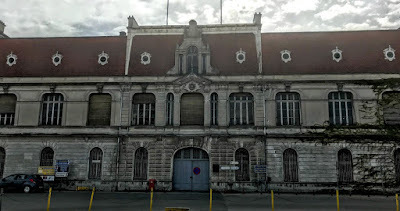 They built markets, such as the Modiano Market, synagogues, schools and orphanages. All four theatres established then were owned by Jews. Yet most of the Jewish population was working class and lived in poverty. The Workers’ Union, formed in 1909 by a group of Jews in Thessaloniki, became the most important socialist organisation in the Ottoman Empire. By the early 20th century, the Dönmeh numbered no more than 15,000. The brothers Mehmet and Ahmet Kapantzi, who founded schools and built elegant mansions, were prominent members of this community, and several Dönmeh were also leading members of the Young Turks, who would bring down the Ottoman Empire. After Thessaloniki was incorporated into the modern Greek state in 1912, Jews became full citizens of Greece, but the Dönmeh community was forced to move to Turkey in the 1920s. The devastating fire that raged through Thessaloniki in 1917 destroyed two-thirds of the Jewish districts, 45 synagogues, schools, shops and businesses. About 52,000 Jewish people were made homeless and most Jewish monuments and archives were destroyed. 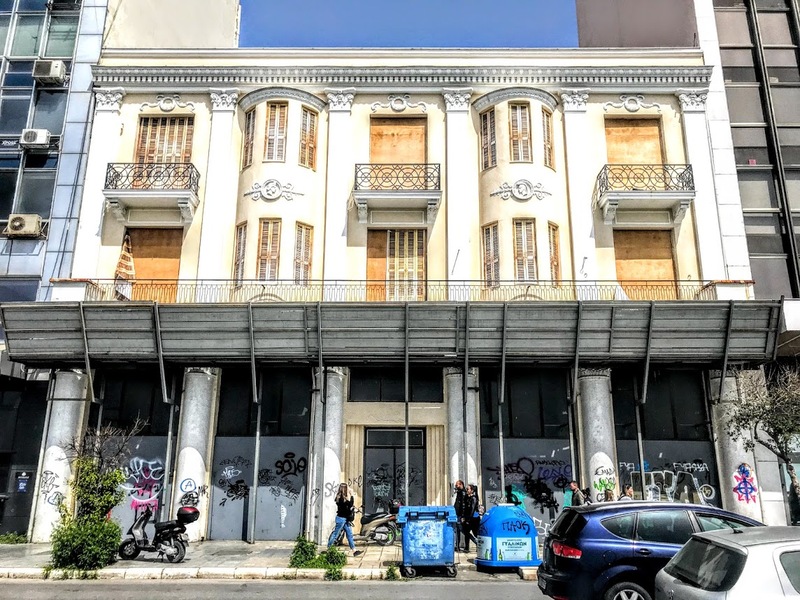 In the rebuilding programme, the historic centre of Thessaloniki lost the Jewish character that had enriched it for centuries. But the city’s port continued to close on Saturdays as well as Jewish holidays until 1923. In the inter-war period, new laws were passed aiming to Hellenise the city. Slowly the Jews became segregated and turned into second-class citizens. This policy legalised anti-Semitic activities and drove many Jews to emigrate. Between World War I and World War II, the Jewish population of this city fell from 93,000 people to 53,000 on the eve of the war. With the arrival of the Nazis, hundreds of Jews joined the Greek resistance, while many others tried to go into hiding. On 11 July 1942, the ‘Black Shabbat,’ all Jewish men in Thessaloniki aged from 18 to 45 were rounded up in Plateia Eleftherias (Liberty Square) in the city centre. Throughout the afternoon, they were forced at gunpoint into humiliating physical exercises. In 1943, the Nazis forced the Jews in Thessaloniki into a ghetto near the railway station, and began deporting them by train to Auschwitz-Birkenau, Bergen-Belsen and other concentration camps and labour camps, where most of the 60,000 deported died. 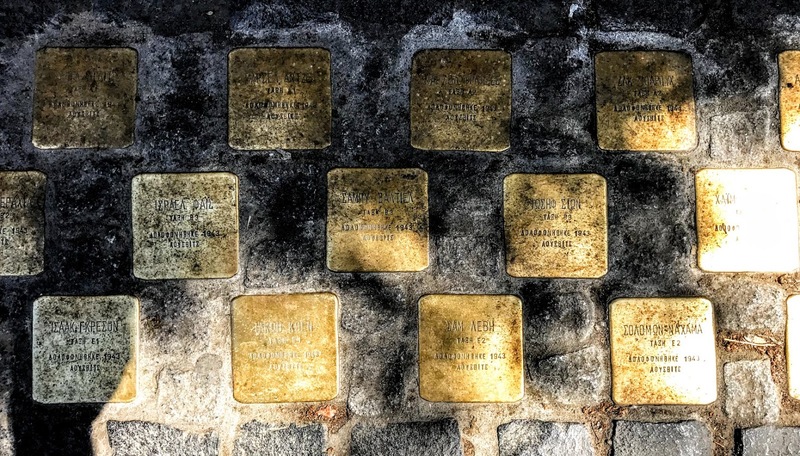 In all, 96 per cent of the members of Thessaloniki’s Jewish community were murdered in 1941-1945. Jewish cemeteries were erased, and most of their cultural wealth and surviving Jewish character of the city was destroyed. 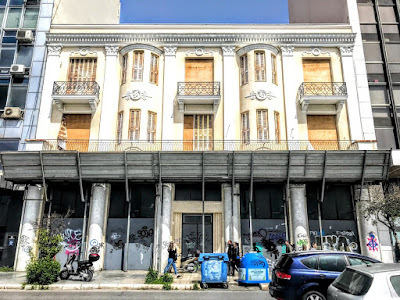 The loss of more of the remaining traces of the Jewish presence came with the post-war reconstruction of Thessaloniki, which reached its peak in the 1960s, and the earthquake of 1978. 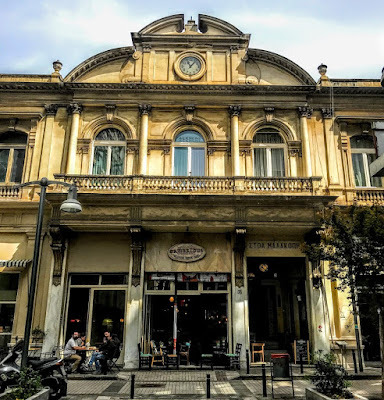 The Monasterioton Synagogue at the top of Syngrou Street is the only surviving, pre-war working synagogue in Thessaloniki. It was built in 1927 by Jews from Monastir in the former Yugoslav Republic of Macedonia. 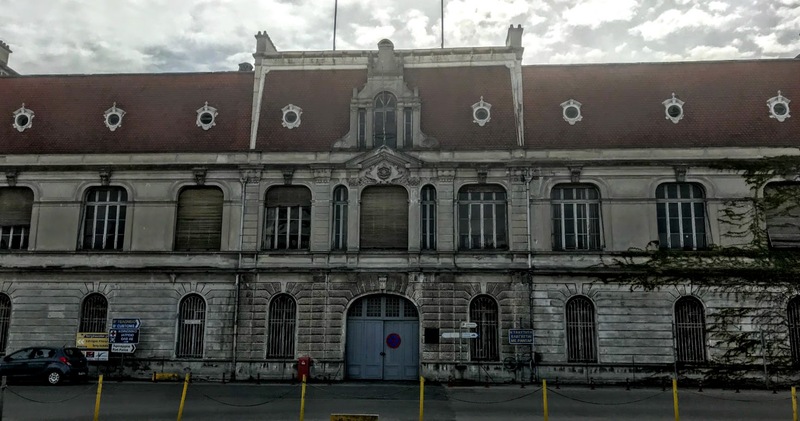 The synagogue was saved during World War II because it had been requisitioned by the Red Cross as a warehouse. 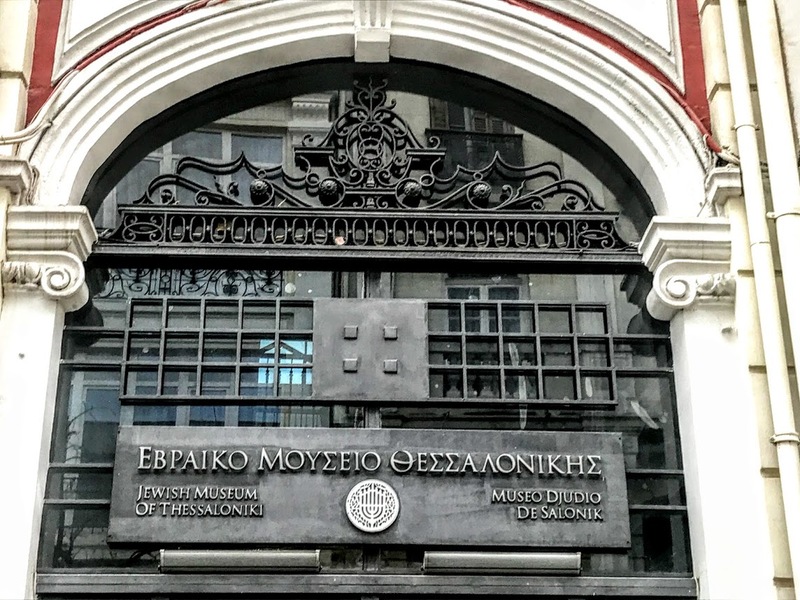 The building was structurally damaged by the earthquake in 1978, but it was restored by the Greek government and is one of the three functioning synagogues in Thessaloniki. 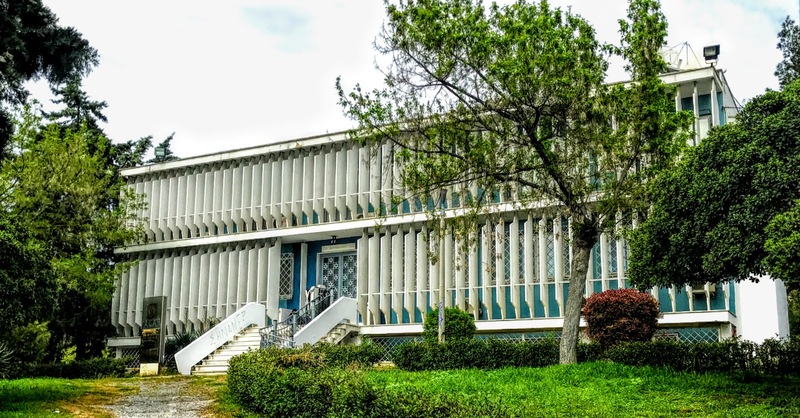 In all, there are three surviving synagogues, some surviving Jewish mansions on Vassilisis Olgas Avenue, the Modiano Market, and a new Jewish Cemetery in Stavroupoli. 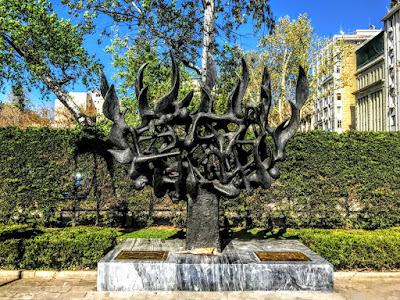 The Jewish Holocaust Memorial at the south-east corner of Plateia Eleftherias (Liberty Square) recalls the 50,000 Greek Jews exterminated in the Holocaust. 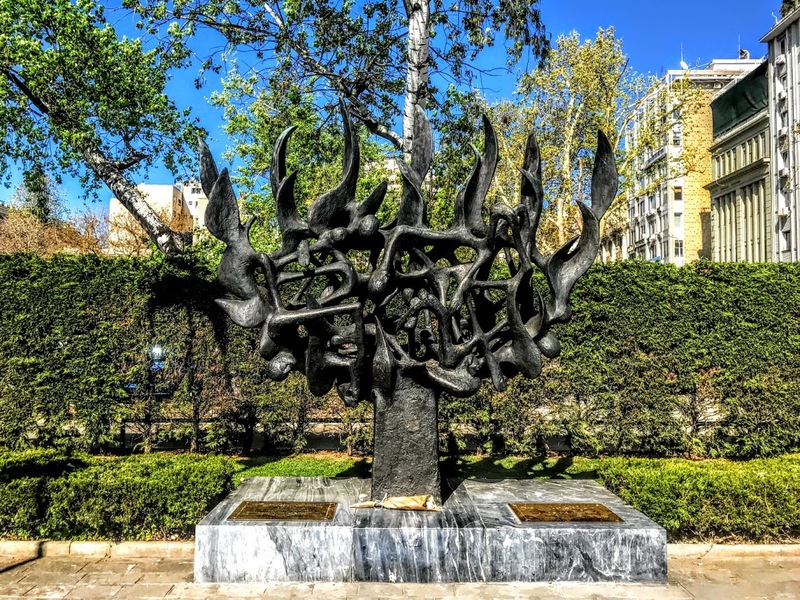 The memorial is a bronze sculpture by Nandor Glid of a seven-branch menorah whose flames are wrapped around human bodies in death. Only 1,200 Jews live in Thessaloniki today. But the Mayor of Thessaloniki, Yiannis Boutaris, and the President of the Jewish Community, David Saltiel, are partners in honouring the pre-war Jewish presence and contribution to the city and ensuring the story of Jewish presence in Thessaloniki continues to be told. This feature was first published in June 2018 in the ‘Church Review’ (Dublin and Glendalough) and the ‘Diocesan Magazine’ (Cashel, Ferns and Ossory).